Whether you just got your CPAP or you have had for a little while already you may be wondering about traveling with it. Traveling outside of Toronto with your CPAP does not have to be difficult; it just requires a little planning and forethought. Will I need an adapter for my cord? Should I take my own water for humidifier? What about CPAP settings, will they require change? If you travel frequently, you may wish to get a carry-on bag specifically for your CPAP. This will allow you to keep an extension cord, power adapter, the CPAP case that came with the machine, manual for the machine, and a copy of the doctor’s order in one place and ready to go. This way all you have to do is add the CPAP machine, tubing, and mask. The carry-on bag will work for air travel as well as travel by road or ship. Having the doctor’s order makes getting through the airport security and customs easier. When you pack your tubing and mask it is always best to remove the mask from the tubing. If your case does not have a specific area for the mask you may wish to get a nylon draw string bag it will fit in which will fit in your carry-on along with a bottle of distilled water for the humidifier if your machine has one. When packing the machine be sure to empty the humidifier tank and make sure it is dry, if your machine has one. You can purchase a battery pack for many CPAP machines. Check with the manufacturer of your machine. The battery packs normally work for varying hours depending on the pressure range you need from your CPAP, without running the humidifier, before needing to be recharged. These come in handy if you travel by plane and there is no plugin for you to use it on the plane, go camping, or your electric goes out. The outlet adapter is a good idea if you travel outside of Canada or the US. Europe and Asia both use different electrical outlets and standards than the US and Canada. If you plan on taking a cruise or going by boat the adapter may be required there as well. When it comes to your carry-on bag it may be worth purchasing a travel tag that identifies it as medical equipment. This is a good idea even if you do not travel by plane often or at all. This tag will identify it as medical equipment and alert emergency personnel in case of an accident while traveling by car, bus, train, or boat. 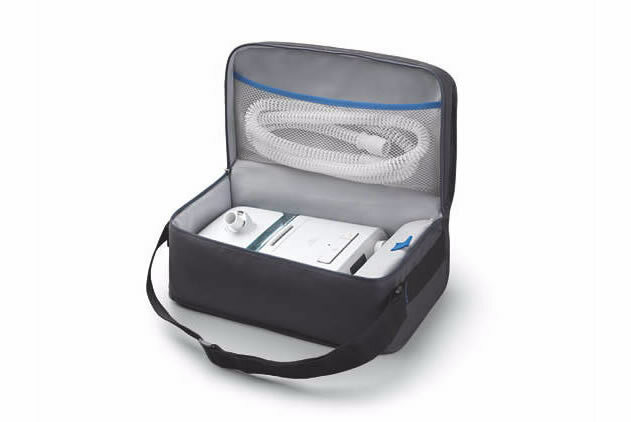 Just as with anything you pack to take with you for traveling outside of Toronto, your CPAP can be packed and taken along. You just have to make it a part of your packing ritual or that you add it to your packing list.